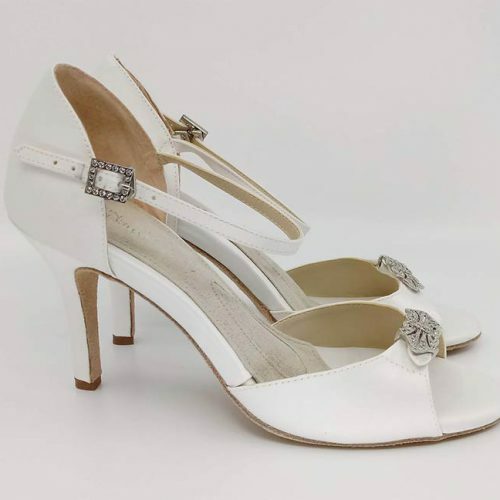 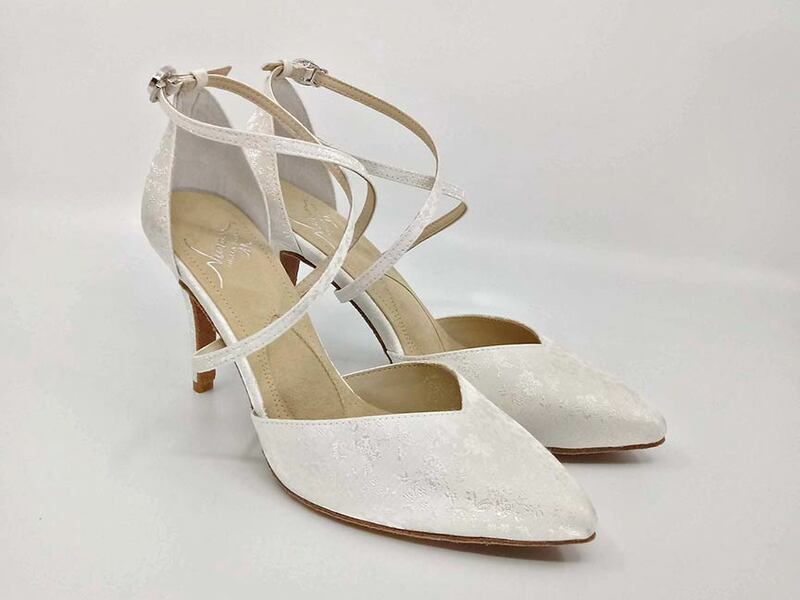 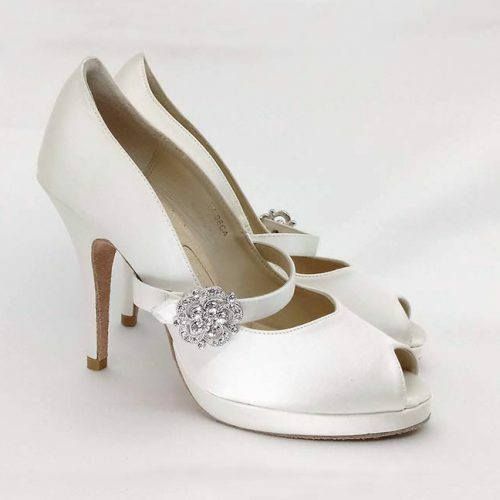 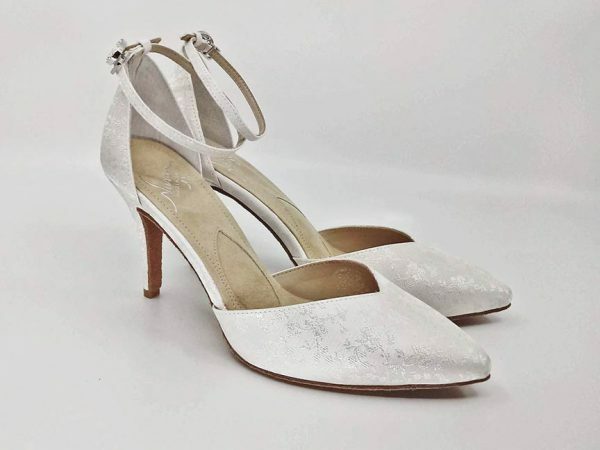 A gorgeous pointed toe d’orsay wedding pump. 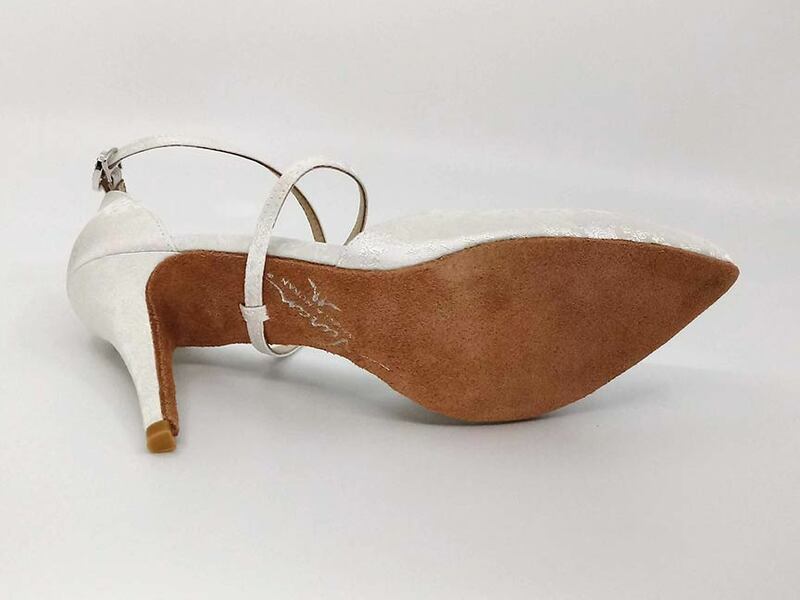 3.5 heel. 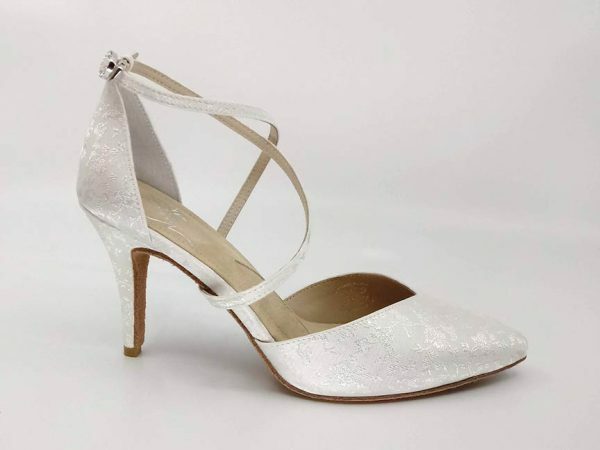 Exclusive pairs of the popular Milonga style were made in slightly different weaves of silk brocade. 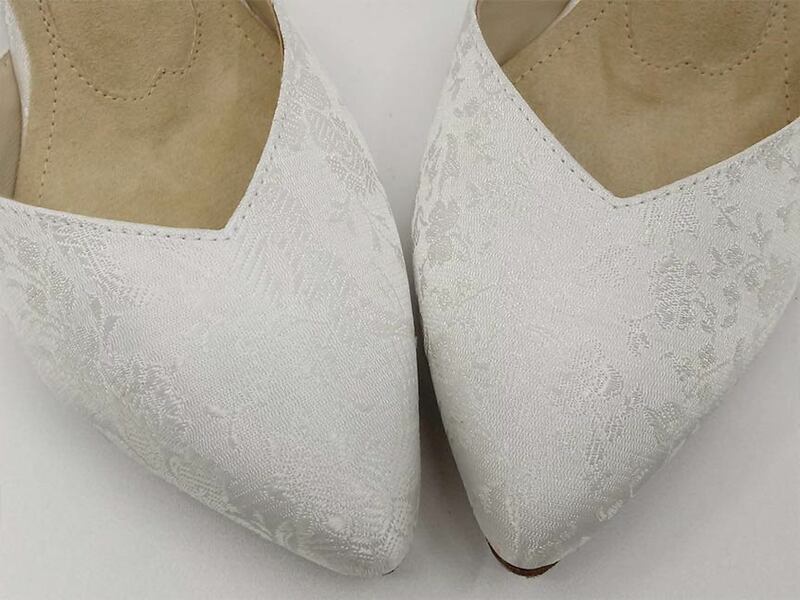 Small, medium and large pattern. Photo is representative. Each shoe in a pair are a perfect match of course, and if you must know which brocade you’ll receive, contact us prior to ordering.